Dance moves that are simple but full of joy. 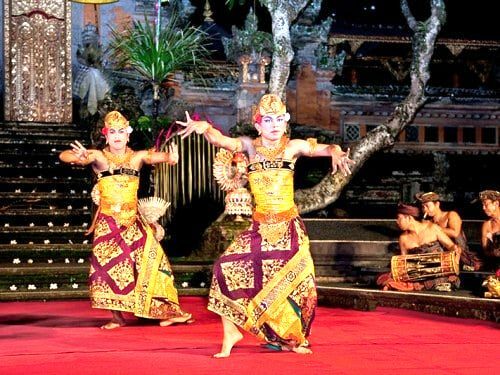 The Janger dance is one of Bali’s unique dances created in the 1930’s. 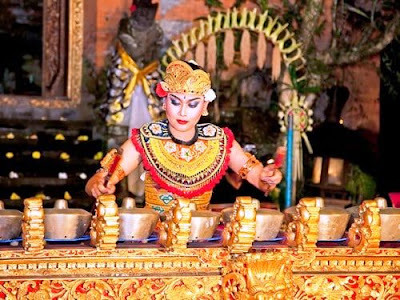 With gamelan batel or gender wayang instruments playing in the background, Janger is danced by 10 pairs of young men and women. 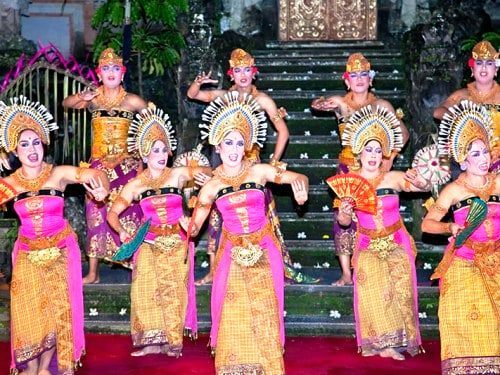 The group of women are called janger, while the men are called kecak. They would alternately dance together and sing the Janger song. The accompanying Janger song is now popularised by Indonesian choir groups, playing at every international choir competitions. It is believed that the Janger dance was started by women farmers, who sang joyously in groups as a way to entertain themselves and relieve their exhaustion from a long day’s of fields work. This developed into a dance and became a means to meet young men from other villages. The general theme has now revolve around the initial romance of young couples. Imparting the classic tales of Arjuna Wiwaha and Sunda Upasunda. What makes Janger unique and appealing is the dancer's costumes. Originally, women wore the Balinese sarong with a bodice, while the men wore sarong and a Balinese headdress. But with time, the women dancers develop their costume into European clothes, even wearing stockings and shoes. The men now wears khaki uniforms with epaulets and a pasted or painted on moustache, while others dressed as boy scouts. The dance are formed in a square, accompanied by the geguntangan orchestra, the young men sit cross-legged performing intricate hand movement derived from the pencak silat (the traditional martial art) movements. The young women would kneel, singing the janger song while making weaving patterns with their arms and hands. In Bali, Janger is categorized as the bali-balihan dance, a dance that is performed for entertainment purposes or to enliven ceremonies. 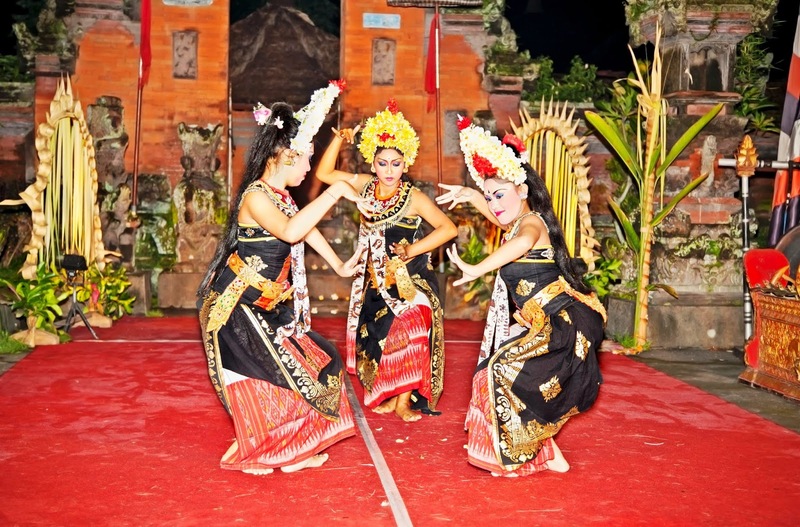 As a popular traditional dance, Janger can be found anywhere in Bali. Each villages has its own variation of dances. In Tabanan, there are Janger groups led by a Dag, an actor wearing a Dutch army costume giving instructions to the dancers. In Bulian, village there is a Janger dance performed especially for the disabled. While the Metra Village Janger in Bangli, the dancer would perform on a bed of hot coal.